Reading Prathy Kamasani’s excellent blog post on Sync Slicers the other week I had a revelation: in the post Prathy shows how it is possible to sync selections between two slicers that are based on different columns from different tables in your dataset, something I had not known was possible. As soon as I read this, I realised this technique could be used to solve a number of common problems including that of handling data at different granularities. Let me be clear: the solution I’m showing in this post is not the “best”, fastest or most elegant solution to this problem. It does, however, have the advantage of not requiring any changes to relationships or the DAX of your measures – and this could be important in scenarios when making these changes would be time-consuming or have other knock-on effects. There is a Date dimension table and a relationship has been built between it and the Daily Sales table, which contains sales information at the date granularity. There is also a Monthly Budget table that contains data at the Month granularity, and no relationship between it and the Date dimension table. The requirement is, however, to be able to select a month on the Date dimension table and for this selection to filter the Daily Sales table and the Monthly Budget table. The key thing is that the two Month columns contain month names in exactly the same format, “MonthName Year”, which means that a selection on one can be transferred over to the other. 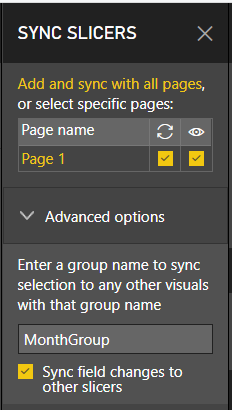 Next, for both slicers on the report, go to the Sync Slicers pane, expand the Advanced options section and enter the same group name for both. 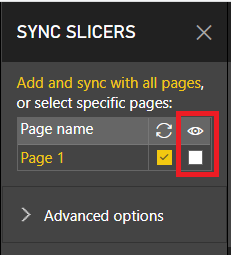 Make sure the “Sync field changes to other slicers” option is selected too. You can download the sample pbix file for this post here. At present, to facilitate quick/frequent feedback-gathering and improvement cycles, it can only be used with SQL Server Data Tools (SSDT) and SSIS IR. There’s also no user interface for generating queries: right now you can only paste in an M query or use an M query stored in an SSIS variable. I don’t think that’s much of a problem though – if you don’t want to write your own M code, you can always generate a query in Excel Power Query or Power BI Desktop and cut and paste from there. You don’t even have to open the Advanced Editor to do this, as I show here. Beyond the normal excitement about cool new stuff, what are the benefits of having Power Query integrated into SSIS? I’m not an SSIS person so I’m probably not the right person to comment on the benefits for SSIS developers, but I would imagine that it will make it possible to connect to a wider range of data sources and also make it easier to work with certain others, such as Excel workbooks and web services. I’d be interested in hearing your thoughts on this, so please leave a comment. From the point of view of the Excel, Power BI or SSAS developer, though, it’s clear this will make it much easier and quicker to take user-developed Power BI and Excel Power Query solutions and turn them into a managed, IT-department owned solutions – and this will be incredibly useful. 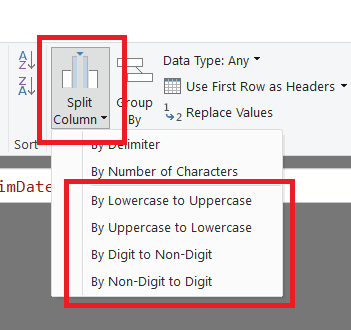 They are intended to solve problems like the one Gil Raviv blogged about here where he shows how to split camel case text in M.
#"Split Column by Character Transition"
It turns out that the new Splitter function that’s behind this, Splitter.SplitTextByCharacterTransition, has been in Power BI for at least a month already (if you want some background on Splitter functions, see my blog post here), but I don’t think anyone noticed. This new function is very flexible, and I can see it will be useful for a lot more scenarios than just these new four options in the Query Editor: it allows you to split text when there is a transition from any one character or characters to any other character or characters. Working out how long a Power Query M query takes to run – the first step to troubleshooting refresh performance problems in Power BI or Excel – is something I have blogged about several times (see here, here and here for example). However, there are problems with all of these methods such as the need to alter the M code of your query. Luckily there is another method that I have found, using a combination of DAX Studio and SQL Server Profiler. Any serious Power BI developer should have it installed already, but if you have an older version you may need to update it to get the features I talk about in this post. You can generate SQL Server Profiler trace files for diagnostic purposes from Power BI Desktop, as Kasper shows here, but these traces don’t show any information about refreshes as far as I can see. You can also hook Profiler up to Power BI Desktop direct, as Sam Lester shows here, but that’s a bit fiddly to do. 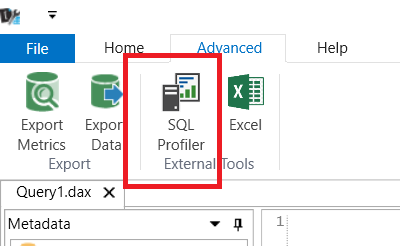 Luckily DAX Studio now has a preview feature which makes connecting Profiler to Power BI Desktop much easier. A Command Begin event followed by a lot of Progress Report Begin/End events, which is the command that marks the start of the refresh. And there you have it, exact timings for each of the Power Query M queries associated with each of the tables in your dataset. Remember that the time taken by each Power Query M query will include the time taken by any other queries that it references, and it does not seem to be possible to find out the amount of time taken by any individual referenced query in Profiler. Originally, Excel.Workbook used to read the entire workbook data to accurately assign types to the columns. This was EXTREMELY slow on large workbooks. Having this in mind, we added this flag to delay the behavior. When set to “true”, we don’t infer any column types. Instead, the UI uses its normal inference algorithm to generate a Table.TransformColumnTypes step with the inferred types and if it inferred wrongly, the user can update the transformation explicitly. I also posted a question on the Power Query MSDN forum and got some more details from Colin Banfield, one of the many M experts who hang out there, as well as doing some investigations of my own. This post summarises what I found out. With delayTypes set to false no “Changed Type” step is necessary, the data types on the columns are set by Excel.Workbook(). With delayTypes set to true all the columns returned by Excel.Workbook() have their data type set to Any and a subsequent “Changed Type” step is necessary to set data types to something useful. With delayTypes set to true the IntegerColumn and the DecimalColumn columns have different data types assigned to them by the “ChangedType” step: IntegerColumn becomes Int64.Type whereas DecimalColumn becomes type number. With delayTypes set to false both columns are set to number. 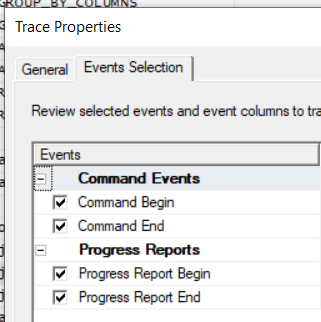 So it looks like Excel.Workbook with delayTypes set to false will only convert columns to primitive data types. I wouldn’t read too much into these exact timings because in my experience timings for the same query can fluctuate quite a lot, but one thing is clear: setting delayTypes to true results in much better performance. Indeed with delayTypes set to false nearly half the time was spent in the “Evaluating” phase whereas with delayTypes set to true there was no “Evaluating” phase at all. As a result I can’t think of a reason not to set the delayTypes option to true. It’s worth noting that delayTypes is set to false by default if you don’t specify this option, so be aware of this if you are writing your own M code.